Kelly and Cindy Starnes became the Pastors of Gospel Ministries Center in August of 1997, shortly after the church began. 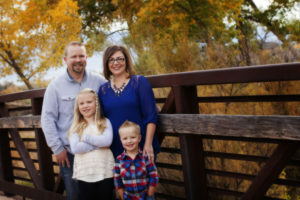 Prior to coming to GMC they served for over four years as Children’s Pastors at Sonrise Church of God, in Grand Junction, Colorado. Both Kelly and Cindy were born and raised in Grand Junction, and were raised in church by wonderful parents that love God. Kelly gave his heart to Jesus at a very young age, and has become very passionate about studying, preaching, and teaching the Word of God. Cindy also came to know Christ at a young age and together they have faithfully served in ministry in the valley for over 20 years. They have a wonderful son named Rylan who has become one of the greatest blessings of their life. Mark began serving as Children’s Pastor at Gospel Ministries in September of 1997. 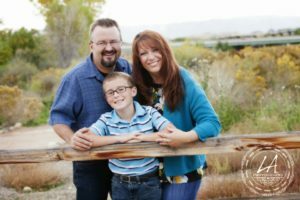 Born and raised in Grand Junction, he came to know Jesus early in his life. And though very skilled in the field of mechanics, from small engines to heavy equipment, fabrication, and equipment operation, he has chosen to give his life to the ministry that God has called him into. It was in 2003 that Mark was introduced to the love of his life, Amy, and they were married in 2004. Amy was born and raised in Nebraska, and came to know the Lord in 2001. Amy had been a loan officer for several banks and last for a credit union here in Grand Junction. She has since dedicated her time to serving her family and church. Since they were married, they have served together faithfully in the Children’s Ministry of GMC. Both feel their call is to the children of the Grand Valley. Mark and Amy have two wonderful children. They have a daughter, Alaina, and a son Luke.